Beijing: China’s Ministry of Transport has released an announcement that it has fined 21 shipping companies a total of RMB4.25m ($684.6k) operating on Sino-Japan routes for violations of market regulations. The ministry started investigations into acts of unfair competition on the Sino-Japan shipping market in July 2014. The companies fined had been found to be attracting clients with prices lower than normal market prices. State-run shipping companies Cosco, China Shipping and Sinotrans formed the C3 alliance last year to jointly operate container services on Japanese routes. 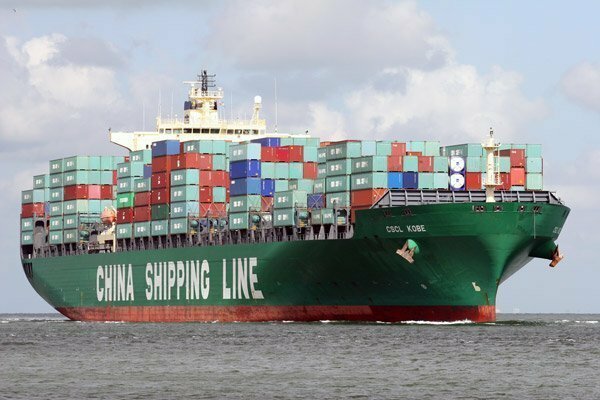 However it was opposed by a group of Chinese shipowners which operate on the same routes and claimed that the alliance has violated the fair competition regulations. The 21 companies fined include the three from the C3 alliance, and other big industry names including OOCL, Evergreen Line, Wanhai Lines, Yang Ming Marine Transport, T.S. Lines, Cheng Lie Navigation, Shanghai Haihua Shipping, and Shanghai Puhai Shipping.